Imam Kassim Essak, was born in Mombasa, Kenya, where he memorised the entire Qur’an at a tender age. After which he went on further study and completed his Alimmiyyah (BA in Theology & Arabic language) at the renowned ‘Madrasah Arabia Islamia’ in Azaadville, South Africa. It was here he undertook an in-depth study of the Islamic sciences such as Quranic Exegesis (Tafseer), Prophetic Traditions (Ahadith), Jurisprudence (Fiqh) and advanced studies in the Arabic language (nahw, sarf & balagha). 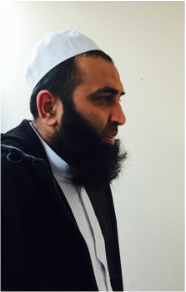 Upon graduating in 2002, he relocated to the UK, to work as a full time Imam in the West London area. He has served in many leading capacities as a Head Teacher, Marriage Counsellor and community advisor. Imam Kassim has delivered many Islamic courses, worked closely in Interfaith forums and has been upon the advisory board of Islamic educational trusts in London. His inspirational sermons, beautiful Qur’anic recitation and loving nature make him increasingly popular amongst the youth and wider community (Allah protect & preserve him). Incredibly fluent in Arabic, Urdu and Kiswahili (Swahili) and with over a decade of experience serving various Muslim communities, Imam Kassim is a unique scholar sought out and loved by many. Ustadha Tasneem has been teaching the children of our community from the very inauguration of the Madrassah three years ago. Originally from Cape Town, South Africa, she attended a local Islamic school which gave her a solid grounding in the fundamentals of Islam. She then took an additional year out to attend a Mu'Alimmah course at Ulum-ool Qur'an under Sheikh Moosa Titus. She went into higher education obtaining both her Bachelors and Masters degrees. She has a wonderful nature and works well with all the children. Learning from Qari Muhammad Asif and subsequent teachers, she is now a pivotal and established teacher at Noah's Ark. She resides in Feltham with her husband and two young children. Hafiz Sultan came to the UK in 1968 in childhood, he completed the memorisation of the Qur'an along with his Islamic studies in Burnley, Lancashire in 1975. Hafiz Sultan is our most senior teacher, with many years of wisdom and experience teaching children and adults. He has selflessly given himself to the service of the community, enhancing it further by bringing along his own children also to serve the Deen and teach at the weekend Madrassah. ​He has been teaching Qur'an, Fiqh and Islamic Studies at Noah's Ark for over two years now and occasionally serves as the Jumm'ah Khateeb. He lives with his family in Feltham. Ustadh Ibrahim was born in the Alexandria city in Egypt. He is a fluent native Arabic speaker and writer. From a young age he studied the recitation of the Quran by Sheikhs from Al-Azhur University Cairo. Upon graduation he completed a teacher’s course and obtained an Arabic / Islamic study certificate from Egypt. Ustadh Ibrahim has been teaching Arabic and Islamic studies for over 10 years. He teaches all levels from beginner’s classes to graduate level. Mr. Ibrahim also conducts group classes and one to one. Also Mr. Ibrahim completed his Diploma in Chinese Medicine and Medical Chinese massage (Tui-na), also other Alternative Medicine therapy. 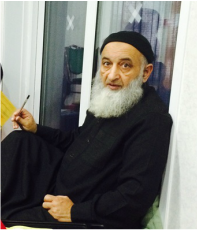 Hafiz Ibrahim Mahmood, he completed the memorisation of the Qur'an as a child with his father Hafiz Sultan Mahmood. He also attended an Islamic madrassah for four years completing his Islamic studies. He is currently working as an accountant for Polestar global and is also working towards his commercial pilots license. He joined Noah's ark last year and has enjoyed it thoroughly. Hafiz Ibrahim has also lead the Taraweeh prayers in Ramadan at ASCC. Ustadha Radhia was born in Algeria and obtained her A levels with highest distinction. She studied Arabic as a first language and completed her studies in Islam covering the Qur'an, Fiqh and Ahadith. She completed Medical studies at Algers University before moving to France. In France, she taught Arabic and Qur'an at Lannion Mosque for kids teaching a variety of different age groups and levels ranging from 4 to 17 years old. At the same time Radhia was taking advanced courses in tajweed rules with Shaykha Rania Fawaz from Lebanon. She moved to the UK three years ago and has been teaching Arabic , Qur'an and French privately. Recently she has joined the Noah's Ark Madrassah where she has great success teaching the fundamentals of Qur'an. ​She lives in Stanwell with her husband and three children. Ustadha Nesren Waly was born in Saudi Arabia and learned Quran from an early age. She undertook an in-depth study of the Islamic sciences including Tafseer, Fiqh and Hadith. She embarked on further study and completed her PhD in the UK. During her PhD, she undertook advanced courses in the science of Tajweed (Quranic Recitation) which she successfully completed within two years. She has over 10 years of experience serving various Muslim communities teaching Qur'an to children and adults alike. She is fluent in Arabic and English and lives in Ashford with her husband and young children. 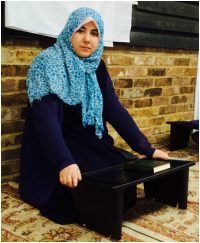 Ustadha Rumaan is currently a student doing A-Levels at the Heathland School . Before Sixth form, she attended Lady Nafisa Independent school for Girls and completed a 5 year Islamic studies syllabus and obtained a Islamic studies diploma which consists of having achieved knowledge in Qur'an memorisation, Qur'anic tajweed, AHadith, Hadith classification, Theology and creed, Islamic law, Prophetic Biography, Self purification, Islamic history, Juristic priniciples, methodology, sociology and politics. This was all achieved alongside the completion of he GCSEs.